By Adrienne Rivera. Jun 7, 2017. 9:00 AM. American author Louise Erdrich has been publishing novels, short stories, children's books, and poetry since 1984. Erdrich has been awarded in every genre in which she has published. Her novels Love Medicine and LaRose won the National Book Critics Circle Award while The Round House won the National Book Award. She received the World Fantasy Award for The Antelope Wife. Her children's book The Game of Silence won the Scott O'Dell Award for Historical Fiction. Her poetry has won the Pushcart Prize, and in 2005, she was the Associate Poet Laureate of North Dakota. She holds several honorary doctorates and has won numerous other awards for her achievements in the field of writing. Erdrich's books are an important part of the landscape of American literature. Let's learn more about the writer behind these contemporary classics. Erdrich is a member of the Turtle Mountain Band of Chippewa Indians. Both of her parents worked as teachers at a North Dakota boarding school that was part of the Bureau of Indian Affairs. For many years, her grandfather served as tribal chair. Erdrich's heritage continues to have a strong impact on her writing. While most of her work focuses on reservation life and the culture of the Chippewa Native Americans (including Love Medicine, The Beet Queen, and LaRose), her novel The Master Butchers Singing Club incorporates her father's side of the family, focusing on a German immigrant family living in the fictional town of Argus, North Dakota. Erdrich received a lifetime achievement award for her contribution to Native American literature from the Native Writers Circle of the Americas. For her efforts protesting the use of the Sioux as a college mascot, she received an honorary doctorate from the University of North Dakota. 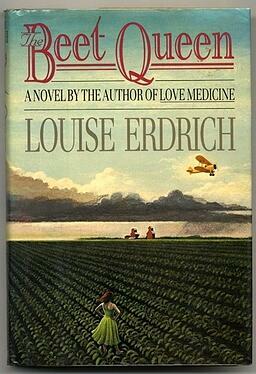 One of the things that makes Erdrich's novels and stories so interesting is that they are all connected by place and character. The majority of her novels take place on an Indian reservation near the fictional town of Argus, North Dakota. The tribe, Ojibwe like her own, is comprised of several families and figures that feature again and again in her novels, such as the Kashpaws. Her books cover the lives of numerous families and the workings of the community over generations, building upon a common mythology that ties each novel together. Much like Faulkner's Yoknapatawpha County stories and novels and Sherwood Anderson's Winesburg, Ohio, this is what makes her stories so rewarding. During her time at Dartmouth College (she was a member of the first class of women admitted to the university in 1972), Erdrich met Michael Dorris who was working there as an anthropologist and director of the department of Native American Studies. The two met when he attended one of her poetry readings. Dorris, author of the acclaimed A Yellow Raft in Blue Water, was impressed by her poems. The two kept in touch and though they did not live in the same city, they developed a working relationship, reading and critiquing each other's works. Eventually Dorris left New Zealand where he had been living and they began a romantic relationship. They married in 1981. 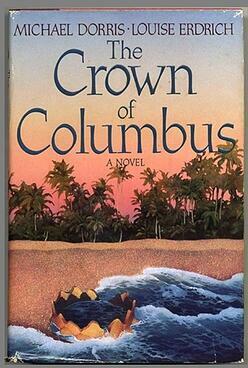 Though they collaborated on numerous projects together, the only book published under both of their names is The Crown of Columbus. Erdrich owns Birchbark Books in Minneapolis, Minnesota. The book store is mostly operated by Native Americans and primarily sells books by and about Native Americans. They also sell authentic art and items made by various tribes. The goal of the store is to cater to an underrepresented audience in a location that is home to the largest amount of Native Americans in the country. They also have a reading series, host numerous events yearly, and provide key resources for educators.